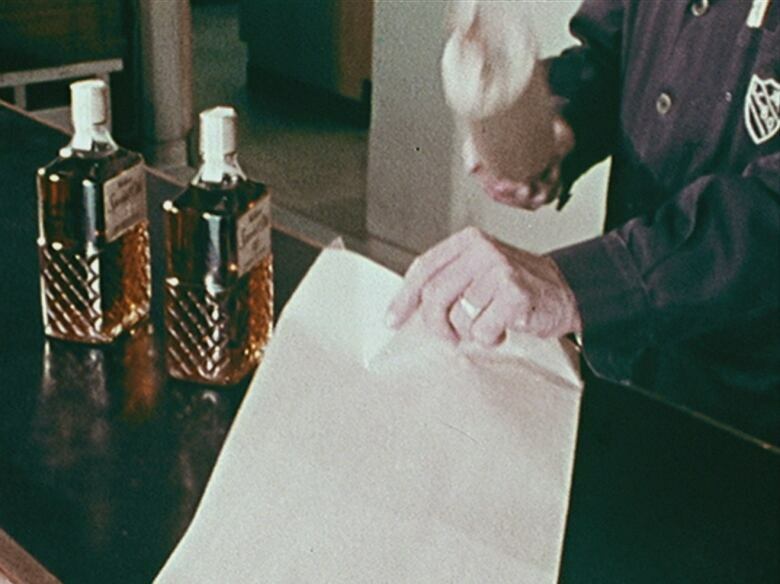 In Ontario, buying liquor in 1967 involved a pencil, some paper and a lot of patience. It took the patience of a saint to buy a bottle of alcohol at the Liquor Control Board of Ontario in 1967. Maybe that's why the makers of a CBC film called Toronto: A City's Story shot a sequence at the LCBO in which a young woman makes a purchase — and set it to a Gregorian chant that detailed the arduous process. "When ordering spirits, beer and wine, purchasers are required to submit a signed order, stating name, address, brand, quantity and price," intoned the voiceover. That was just part of the ordeal. First the customer had to peruse a list of available brands. Then she filled out the form and got in line to submit it to a cashier and pay. Next she joined another line and gave her form to the employee who would retrieve her purchases from the shelves of bottles behind his counter. "While each store carries a considerable assortment of the liquor and wines which appear in this price list," continued the chant, "all of the brands listed are not always available." The clerk then placed her bottles in a thin plain brown paper bag. "Amen," finished the solemn chant, the process complete. This process was an improvement on the past: until 1962, anyone who wanted to buy liquor needed to obtain a permit first. In 1969, customers were thrilled to be able to serve themselves at a Toronto-area liquor store. A CBC news report showed a store — one of the first of its kind — with open shelves where buyers could spend time looking at the bottles before taking them to a cashier themselves. "We're getting more Americanized, you might say," said a customer. "Just walk in and pick up what you want." "Oh boy, I've been waiting for this for a long, long time," said a woman in a fur coat. "I think everybody's really going to enjoy it." "I like the wine room very much," said a second woman. "You can go in and see exactly what you want and take your time over it." Two men agreed they were pleased to be finished with filling out a paper form, and another customer on his way out had a prediction about the future of self-serve liquor. "I really think they'll all be like this some day," he said. "In about 20 years, anyway, I don't think there will be anything else but these." 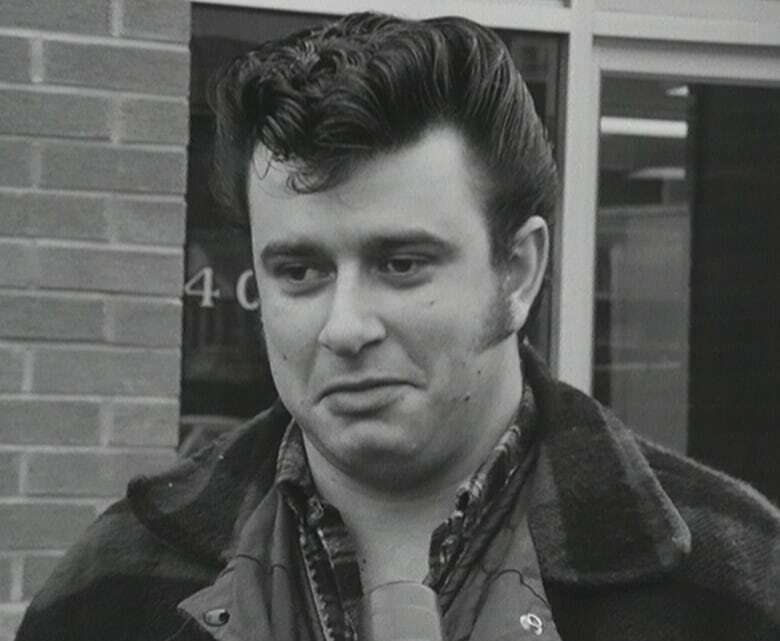 But another shopper went even further — and 50 years later, his dream is still not a reality in Ontario. ""I'd just as soon see it in stores and be done with it, grocery stores," he said. "It would be more convenient for everyone concerned." In Manitoba, a self-serve liquor store took a little longer — but when it came, it was with a splash. In November 1971, the Manitoba Liquor Control Commission opened a boutique on the mezzanine level of the flagship Hudson Bay store in downtown Winnipeg. The MLCC's chair, Frank Syms, called it "the most modern liquor outlet in Canada," according to CBC reporter Bob Allison. It was also the first to be set up in a department store, he added. The store was not only the province's first self-serve liquor outlet — it was the first to employ women. "Another first is the staff," said Allison. "All female, some in hot pants to take your mind off the bottles, shelves and prices." An estimated 100 customers lined up to get in before the store's 9:30 a.m. opening. "The first purchase was made within a minute of the ribbon-cutting," said Allison.